I am testing a dual Boss RC-505 Loop station setup in this video. I have a Roland TR-8 as Master connected to a Yamaha MJC8 Midi Patch Bay. Everything is on Midi Channel 1. Two outputs are connected one each to a Boss RC-505 Loop machine. No external effects are used in the video other than a Boss DM-2 Analog Delay on a couple of the Polysix tracks. One RC-505 is connected to the Korg Polysix Analog Synth. 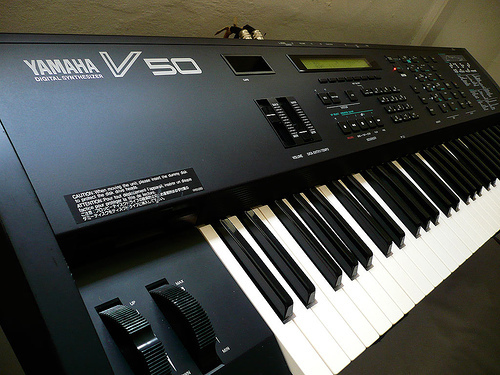 The other RC-505 is connected to a Yamaha V50 Synthesizer. I created the loops right before recording the video and forgot to record that part….laugh. I’ll do something again shortly showing the recording process. Both RC-505 Loop Stations are in sync controlled by the TR-8. You CANNOT sync this by chaining them as the RC-505 is not capable of sending the appropriate midi start command. In the video you see me toggling various loops on an off to add dynamics to the song which is completely improvised and done on the first take. 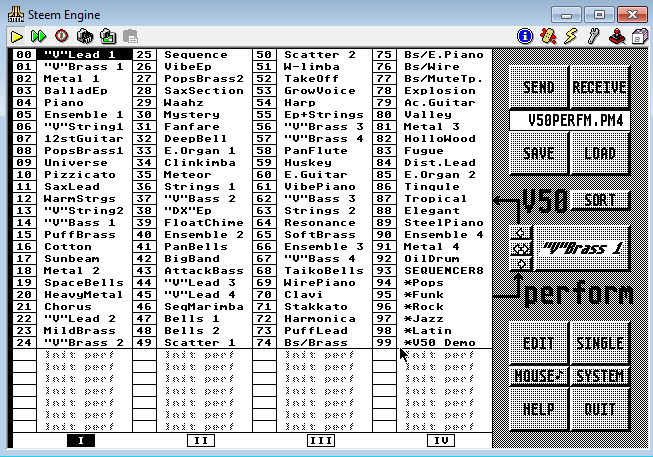 Patches for the Korg Polysix and Yamaha V-50 are custom made. One Boss RC-505 is sitting on the Yamaha V50 which you can see. The other is under the Korg Polysix sitting on my Roland Fantom X6. The mix is running through a Roland M-12E 12 Channel mixer which is awesome. I just bought a second one here in Japan. It makes my life so much easier running all my synth gear through them. The mix is going direct into my iPhone via a Fostex ios recording device. I am playing a fun patch I created on the Korg Polysix. I love the modulation that the Korg Polysix can do. Oh yeah, I’m sporting a pink Midi Designer T-shirt under my jacket there.